As I work diligently from my home studio in Los Angeles to blog, podcast, post on Facebook, tweet, do videos on YouTube and create new quality content and products for Voice Lessons To Go, I am stricken with awe at how singing does not just happen in certain cities, countries, or by specific kinds of people, it global. People all over the world love to sing. They friend me from Africa, write me from India, buy my products from Jamaica, send me questions from Australia, and share their singing stories with me from America. That is powerful and I feel very honored to be tapped into this incredible community. I often wish I could get into a package of CDs I ship out into the world to share their journey. They have definitely travelled more than I have! Whether you sing for Karaoke, theater, rock bands, opera, country, jazz, spiritual music, or choral, you sing because you love how it makes you feel. And you were meant to sing. I know that feeling, it is why I sing. And when you are blessed with a gift to sing, well, it is a joyous thing to celebrate. So here’s to you. You singers out there this week who have touched my life with your stories. I am privileged to be at the forefront of a small group of you singing folks. 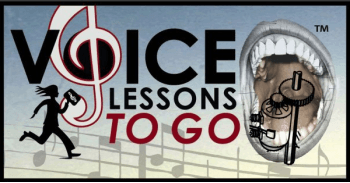 I hope I can provide excellent information to help you on your singing journey. Please continue to share your stories with me. They feed and inspire me for my own content to create for you.